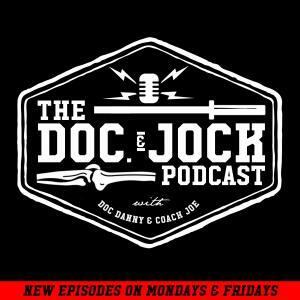 Dr. Jackie Varnum is one of the leading physical therapists in the world of women's health and on Episode 236 of the Doc and Jock Podcast we sit down with her to talk about why folks (especially women) pee their pants while they workout. Stress based incontinence maybe a very common problem, but it's definitely not normal. If you pee in your pants while you lift, run, jump or even sit you most likely have pelvic floor dysfunction. On this episode Dr. Jackie Varnum teaches us what pelvic floor dysfunction is, what some symptoms of it are and some ways you can prevent it from happening. Check it out and let us know what you think or have any other questions for Dr. Jackie via an iTunes review.